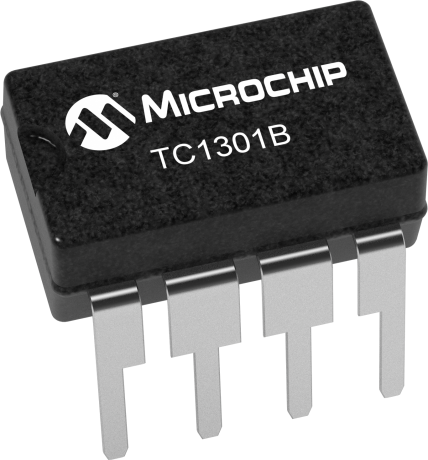 The TC1301A/B combines two Low Drop Out (LDO) regulators and a microcontroller RESET function while the TC1302A/B is purely a dual LDO. Both parts are available in single 8-pin MSOP or DFN package. The TC1301A/B & TC1302A/B features low dropout voltages as low as 104mV @ 300mA, low quiescent current consumption at 116 µA typical and a voltage output accuracy of +/- 0.5%. Several fixed output voltage and detector voltage combinations are available. A reference bypass pin is available for TC1301A/B to further reduce output noise and improve the power supply rejection ratio of both LDOs. The TC1301A/B & TC1302A/B is stable over all line and load conditions with a minimum of 1 µF of ceramic output capacitance and utilizes a unique compensation scheme to provide fast dynamic response to sudden line voltage and load current changes.